Pinnacle Construction is a general contractor specializing in unique, complex, and safety-critical construction. As a full-service design-build company, Pinnacle delivers one-of-a-kind projects nationwide, including anything from recreating the surface of Mars to blastproof access control points. We have successfully tackled numerous high profile projects that would intimidate most other construction firms. Accelerated timelines, hazardous environments, atypical engineering specifications, environmental sensitivities and historic preservation are all par for the course for Pinnacle, where failure is not an option. Unlike the typical entrepreneur who grew up with a lemonade stand or selling girl scout cookies, I would consider myself to be an accidental entrepreneur. I cut my teeth working for larger businesses and my small business began as more of a night-job. Eventually, it became clear that my night job was really where my passion lied, and I made the decision to devote all of my time to Pinnacle. What has been your biggest lesson learned in working with the Federal Government? Teaming with other businesses is the key to growth. I call it Co-op-etition, a combination of cooperating and competition. Rather than viewing other companies as competitors, there is tremendous opportunity in building them up. Pinnacle’s very first client is Pinnacle’s largest subcontractor today. Over the years, we have built trust and a strong history of performance with our teaming partners, and that relationship has enabled us to complete things together that we didn’t have the capabilities to complete alone. As a firm believer in the capabilities of small business, I am most proud when Pinnacle competes against large businesses and triumphs. The personal attention and true teaming nature that we can give to clients sets us apart from a large business working on hundreds of jobs across the country simultaneously. Our clients understand that they have our full attention, and they are, at that moment, our most important project. The clients and agencies that embrace that differentiating factor, are the people that we enjoy working with the most. WIPP has been instrumental in introducing me to the right people. In the federal marketplace, there are a select group of individuals who are committed to building small businesses. These amazing people, all of whom are known by WIPP, recognize the importance of small businesses to the health of our country and economic policies, and many of them have dedicated their lives to the cause. These individuals have truly impacted the federal market place, and if you are willing to match their time and efforts, they will help you build a strong business. 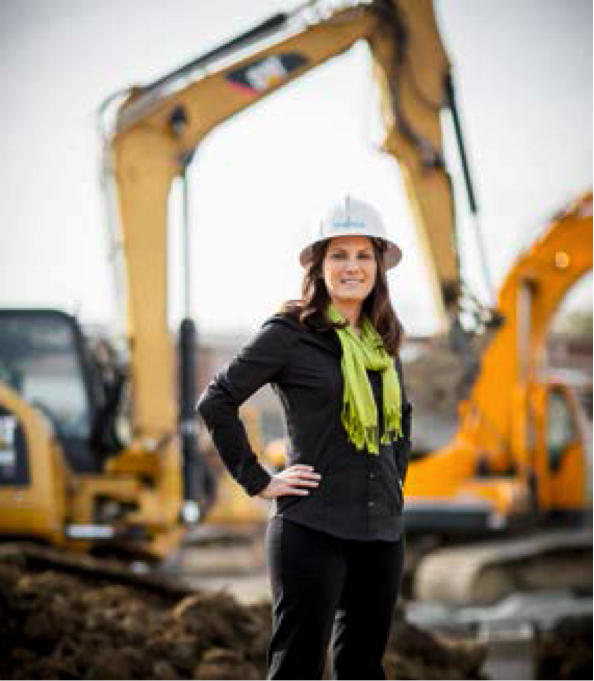 This entry was posted in Women in Leadership and tagged Cleveland, Contruction, government contracting, Lynlee Altman, National Partner, Pinnacle Construction, Small Business, WIPP, WOSB by WIPP. Bookmark the permalink.